With a large one-bedroom floor plan and partial ocean views, Hokulani 616 is one of the choice one-bedroom suites at the resort that does not overlook the Luana Garden Villas construction that commenced in February 2018. Mahalo nui (many thanks) for visiting Hokulani 616 at Honua Kai. Honua Kai is perched upon Kaanapali's North Beach, offering direct beach access to warm white sands and the serenity of the Pacific Ocean. Congratulations, you have just discovered the best that West Maui has to offer for a rich & relaxing Hawaiian holiday. As one of the few one bedroom suites at Honua Kai not facing the Luana Garden Villas construction that commenced in February 2018, Hokulani 616 offers peace and tranquility unmatched by the majority of Honua Kai one bedroom locations. Suite 616 boasts an exquisite interior and an ocean view vista that is equally set to impress. The kitchen is fully equipped with stainless steel Bosch appliances and granite countertops, and we have provided every appliance & utensil to prepare the perfect meal or refreshment…just bring the ingredients. Enjoy your meals on the spacious lanai or dine indoors in the climate controlled air conditioning. The included Vitamix blender lends itself well to preparing creative libations or smoothies with fresh local produce. Additionally, this suite has a southern exposure which equates to more sun and less direct wind. This generates the perfect balance for tropical air conditioning. At Hokulani 616 opulence and comfort are the constant, gracefully interwoven for your happiness and relaxation. Furthermore, our management office is literally 100 steps from Honua Kai, so you may rest assured that we can assist expeditiously if the opportunity presents itself. Our goal is to transition you from your long journey to a restful state in your immaculate suite, expertly prepared for you by our meticulous cleaning team. Free high speed Wi-Fi is available and included in the daily parking amount, which also provides the option of complimentary valet service. The newly upgraded Wi-Fi in this suite now clocks in at up to 300Mbps which is up to 10X faster than most of the other suites at Honua Kai. Complimentary booster seats, high chairs, sand toys, rollaway beds, Bose bluetooth stereos, and air mattresses are also available upon request (based on availability). 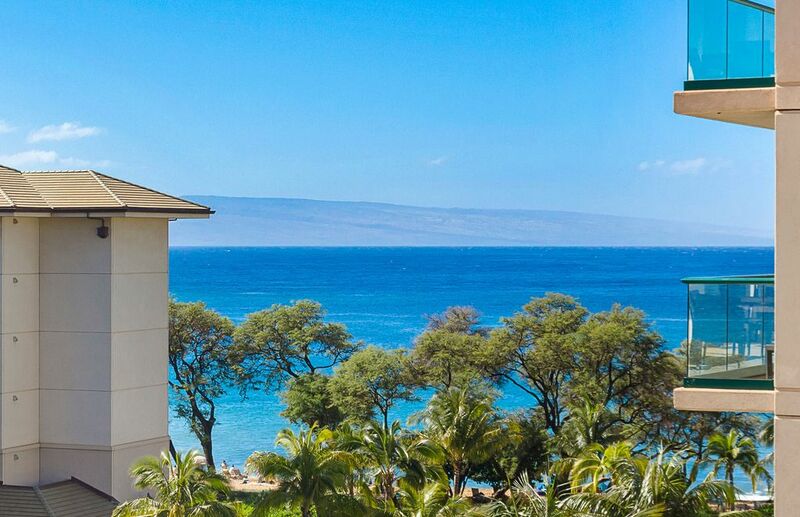 We look forward to welcoming you to Suite 616 and are grateful for the opportunity to 'Make Maui Reality' for you. A southern orientation provides a beautiful vista of the Pacific Ocean, as well as natural protection from strong Maui trade winds, in this captivating one bedroom suite. Offers sweeping mountain to oceanviews. Free upgraded 300 Mbps high-speed wifi, up to 10X faster than in other suites at Honua Kai, is available in your suite. Great sunrises and sunsets await on the 145 square foot balcony that offer the best of both worlds and is sheltered from the prevailing North East trade winds. There are five shared hot tubs on property. The condo was perfect in size and comfortable for our family. We also got to enjoy the beautiful whales from our balcony. Another memorable trip. The condo was spacious and clean. It had everything we needed. Beautiful resort. We enjoyed the pools and beach every day. Great resort. Great location. Totally enjoyed our stay. Thank you! Nice location and facility with a beautiful and comfortable condo. Not a full ocean view anymore with the new Westin but still a good ocean view as well as the hillside. We rented 2 units at the Honua Kai from Maui Resort Rentals . This is the perfect place for families, we had guests ranging in age from 5 to 80 and everyone was happy. The units were clean and everything was as advertised. Maui Resort Rentals was great and even let us have extra time in our unit when our flight was cancelled. We had a great time at Honua Kai. It's an outstanding property in a perfect location. Views are unbelievable, we watched whales breach from our balcony. It is true relaxation from the moment you arrive. Our only complaints about unit 616 (a one-bedroom) were that it smelled a bit like mildew and there was a lot of construction happening next door that started pretty early each morning. The smell isn't unbearable, just noticeable (my four year old niece asked "why does it smell weird in here?" when we walked in). To their credit, Maui Resort Realty delivered some Febreeze for the smell, but it really didn't get rid of it completely. But not a deal-breaker or vacation ruiner. The construction is pretty loud and unescapable from this side of the building, but will reportedly be completed in March 2017.